Free speech is dying in the West and the assault on this inalienable right continues to be eroded in the United States. 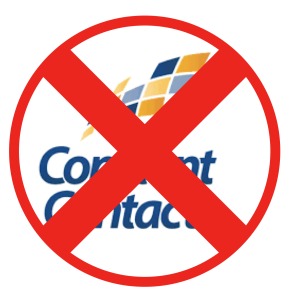 “This message is being sent to inform you that your Constant Contact account with the username “jguandolo” has been canceled pursuant to Constant Contacts Prohibited Content and Commerce Statement. UTT continues to publicly make this offer: if anyone can demonstrate that anything UTT publishes or teaches about sharia (foundation and authority in Islam or what it says) or about the Muslim Brotherhood’s jihadi movement that is untrue, we will stop presenting and publishing it and give the person bringing it to our attention $1000 cash. After over 3 years of offering this, we have no takers. We encourage all UTT supporters to call Constant Contact customer service at 866-289-2101 now and demand they reinstate our “jguandolo” account immediately. Ensure they know you will never support or use Constant Contact and will work to ensure all of your friends and contacts never do either. UTT thanks all of you for defending and supporting us. John, with respect to your foregoing blog, I’ve just gotten off of he phone with an amiable sounding young male who said he was in Colorado as we spoke, and that his name was “Tony”. According to him, “there must be a disconnect” based on what I was calling about (which was strictly limited to the your content), inasmuch as Constant Contact was nearly exclusively involved with ithe distribution of e-mails for their account holders. Notwithstanding any of that, I emphasized the uniqueness of UTT”s ability to provide readers with the facts they and their loved ones need to stay safe, and touched too on your superb qualifications for providing those facts, I.e., since what appears on the UTT site reflects actual verbatim content of the threats they may unknowingly face should they ignore UTT’s warnings. I also mentioned the 3-year old offer of a $1000 award etc. My sense is, that Constant Contact may have been had by either a federal or international entity engaged in hacking e-mails which thus assumed that UTT and CC were philosophically related; although that’s pure conjecture based on the sincerity I sensed when speaking with “Tony”. I also requested that he run the issue by his co-workers to determine what sort of “disconnect” if any, they may be able to identify. Strange. In the meantime if I can help you in any way, let me know how. I just signed up for the news letter and the first thing I see is this Constant Contact BS and I will be calling these fools to let my disgust be known. I have never heard of “Constant Contact”, it has not prevented me from your website, unless this comment is not seen on your end. Excellent website….we need your facts and information done in a most professional way…. you are..much admired. This site supplies excellent information. I visit it every week.